Hasura GraphQL Engine is available as a One-click app on the DigitalOcean Marketplace. It is packed with a Postgres database and Caddy webserver for easy and automatic HTTPS using Let’s Encrypt. Once Hasura GraphQL Engine Droplet is ready, you can visit the Droplet IP to open the Hasura console, where you can create tables, explore GraphQL APIs etc. Note that it might take 1 or 2 minutes for everything to start running. A Postgres database is also provisioned on the Droplet. 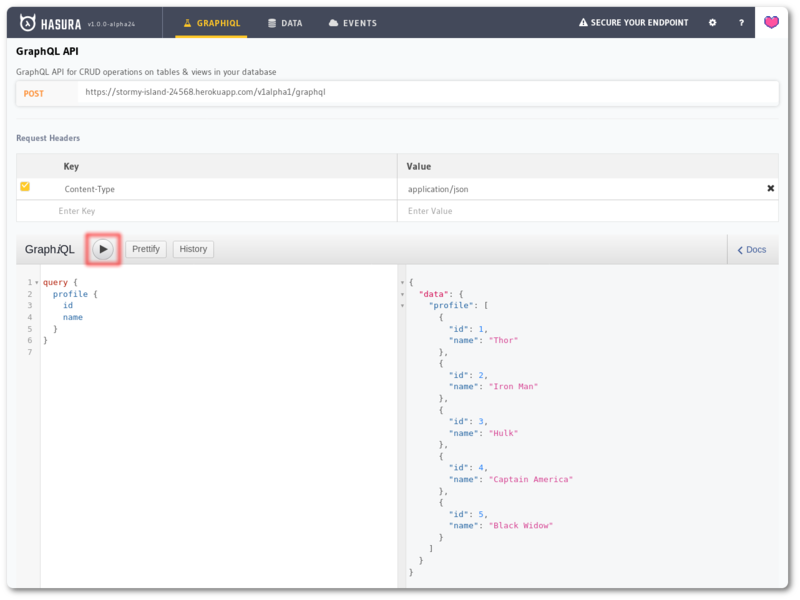 Using the console, you can create a table on this Postgres instance and make your first GraphQL query. Choose id as the Primary key and click the Create button. By default Hasura is exposed without any admin secret. 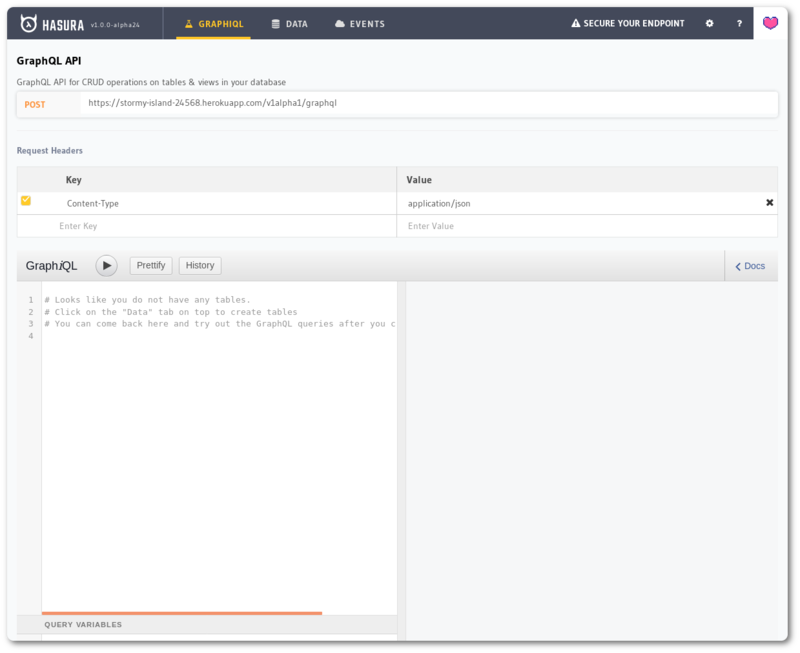 Anyone can read and write to your database using GraphQL. 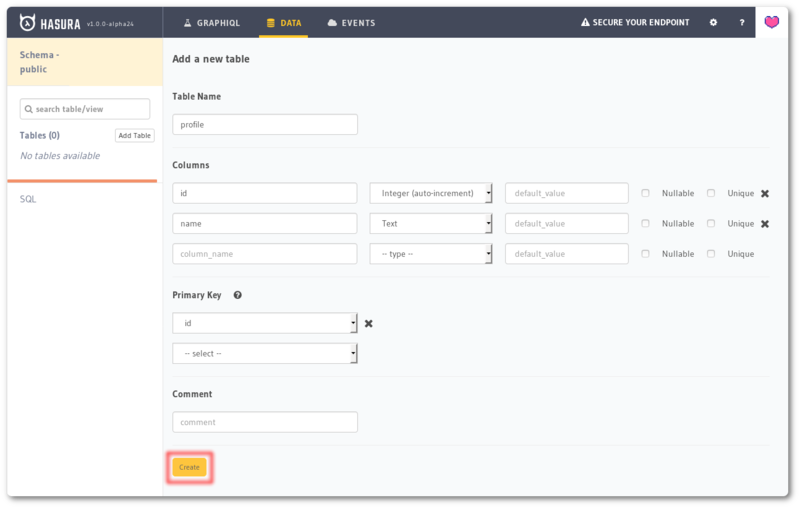 When deploying to production, you should secure the endpoint by adding an admin secret key and then setting up permission rules on tables. If you own a domain, you can enable HTTPS on this Droplet by mapping the domain to the Droplet’s IP. The Hasura GraphQL Droplet is configured with Caddy which is an HTTP/2 web server with automatic HTTPS using Let’s Encrypt. Go to your domain’s DNS dashboard and add an A record mapping the domain to the Droplet IP. Visit https://<your_domain>/console to visit the Hasura console. When a new version of GraphQL Engine is released, you can upgrade to it by just changing the version tag in docker-compose.yaml. You can find the latest releases on the GitHub releases page. Create a new Postgres Database from DigitalOcean Console, preferably in the same region as the Droplet. Once the database is created, under the “Overview” tab, from the “Connection Details” section, choose “Connection string” from the dropdown. “Connection string” is the “Database URL” - copy it. Similarly, database URL can be changed to connect to any other Postgres database. Where <container_name> is one of graphql-engine, postgres or caddy. Logs should be able to help you in most scenarios. If it doesn’t, feel free to talk to us on Discord.